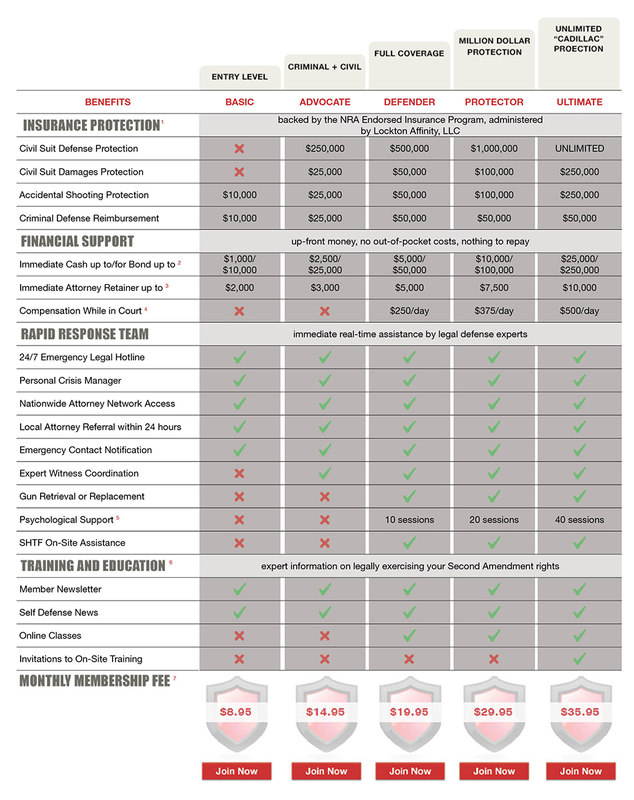 these products, contact Lockton Affinity at SecondCallDefense@LocktonAffinity.com. 2. Reflects 10% of the face amount of the bond. For example, $1,000 reflects a $10,000 bond. 3. Additional amounts may be available through grants from Second Amendment Support, Inc.
5. Maximum amount available is $250 per one-hour session. 6. This is a partial list of Training & Education available through SCD. Training & Education increases as your membership level Increases. 7. Reflects combined monthly fee for SCD Services and the Lockton Insurance Policy. See www.SecondCallDefense.org for more information.